Someone wise has said, “The First Impression is the Last Impression.” Just like some areas of the life, it applies to business as well. Your first impression can be a deal maker or a deal breaker for you. Well, you don’t need sky soaring budget or swish corporate headquarters to make that everlasting convincing impression on clients. Just a bit of tried and tested interpersonal techniques, a professional venue, and a lot of confidence is all it takes to swiftly bring that deal in your court. Success love people who do research. Having in-depth knowledge of your client is the first step which forms your base strong for success. Thoroughly know the concerned person’s job description and get familiar with the company they represent. Make sure you know about company’s key business goals, interests and analyze the scope of operations. Your familiarity with the client’s background will help you present your relevance to their business in the best way possible and allow you to make a winning impression on them. In case, your business is a startup, there is a chance that you don’t have a lavish and well-maintained business office space in Gurgaon yet. Well, there is a solution- Altrade Business Centre with the industry-leading coworking facilities offer an affordable and flexible solution of working from a fully serviced office at a prominent business location. 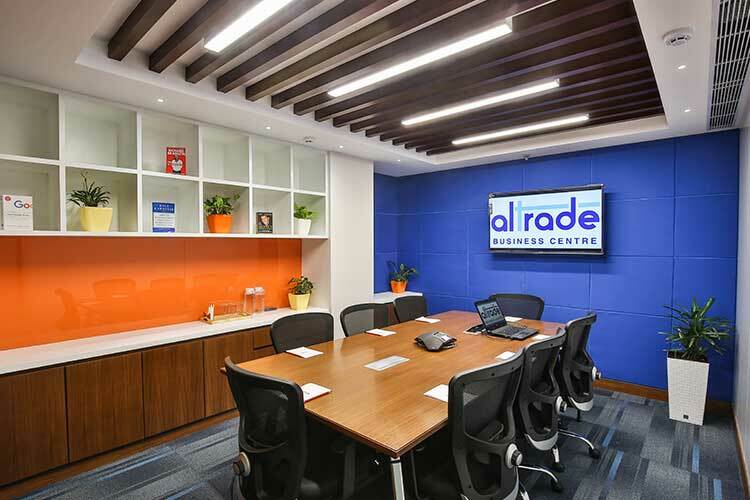 A serviced office space in Altrade Business Centre allows you access to well-equipped appointed meeting rooms in Gurgaon with video conferencing capabilities, and full reception service. Choosing a serviced office means now you are ready to make an excellent impression on your clients, without having to splash out money on long term lease commitment, meeting space, furniture, facilities, etc. Your smart, professional, and polite appearance gently takes you one step ahead of others and convince the client that you are the right person for the proposed job. Make a small talk to break the ice and smartly convey that you have done the required research prior to the meeting. This will help you reach a conducive environment to work much easier and in advance. Constant rings and beeps from your digital devices can be a big turn-off for some people. Try to avoid your digital devices while talking to a potential client. Trust us, there’s no easier way to kill an opportunity than to have your mobile phone constantly ringing and interrupting important business proceedings. Engage fully with your client throughout the meeting. Ask questions and make notes, and you’ll come out as a serious contender for your prospective client. Is your agenda list ready? Meeting with no agenda ends up with no fruitful result. Always ensure that your meeting doesn’t get off the track and waste precious time. Create an agenda covering all the points and refer to it throughout the meeting to tick off all the covered points as you proceed ahead. This activity will also help show that you are serious about the meeting and have prepared properly for it. Always wrap up the meetings by summarizing the action steps you and your client have agreed to take. Do try to be clear about who has to do what and when.